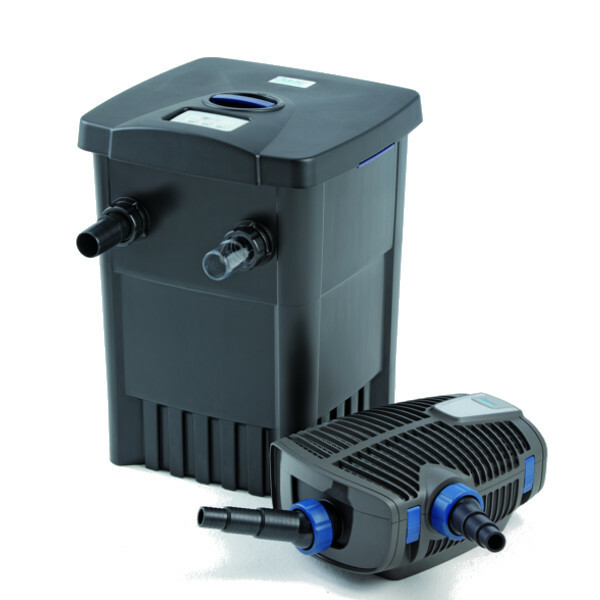 Innovative filter incl UVC clarifier. Greatest possible biological/mechanical cleaning in the smallest space. Interval cleaning reliably removes sludge, nutrients and toxins. Innovative control unit with monitoring display for the water temperature. Energy efficiency due to functions that match the requirements. Power savings up to 40% thanks to clocked UVC. Low maintenance and user friendly. Interval cleaning, UVC and sludge discharge can also be controlled individually. Can be placed directly at the edge of the pond. Optimal conditions for the filter biology thanks to long service life. The Oase FiltoMatic Set combines the high tech FiltoMatic Filter with the new AquaMax Eco Premium Filter pump, making it even easier for you to select the right products for your pond. The Oase FiltoMatic is a genuine multi-talent, with a built in pond manager. It automatically monitors virtually all sources of stress that pose a hazard for the pond: excess nutrients, sludge and suspended algae - resulting in biologically clear water 365 days a year. The active control unit monitors temperature and regulates sludge discharge, automatic interval cleaning and UVC as needed, with power savings of upto 40% as a result of the clocked UVC. Cleaning, UVC and sludge discharge can also be controlled individually. The integrated sludge pump prevents the build-up of sludge within the filter. Phosphates accumulate within sludge and are perfect nutrients to encourage the growth of blanketweed (string algae). By monitoring and discharging the sludge from the filter, the occurrence of blanketweed is greatly reduced. The compact construction of the FiltoMatic offers maximum filter effect in minimal space. 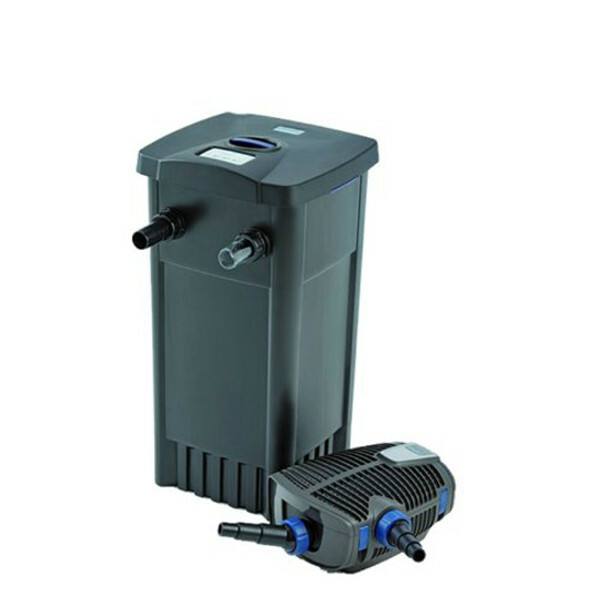 The unit can be almost completely buried and by using the FiltoMatic Cap (not supplied) the filter can be virtually seamlessly integrated in the pond landscape. 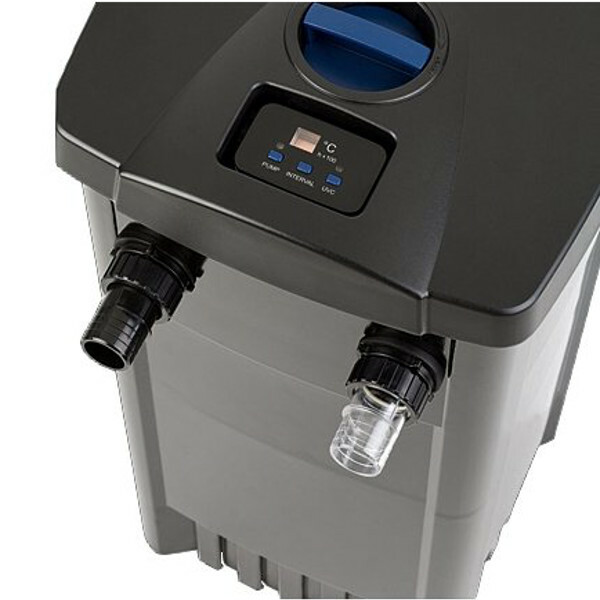 The Oase Aquamax ECO Pro range has an energy-efficient motor with innovative electric control for optimisation of the efficiency level, saving up to 40% energy. A flow-optimised impeller guarantees maximum hydraulic pump performance and improved displacement of coarse debris. The large surface filter housing allows debris such as vegetation or Koi waste up to 10 mm in size to pass through. The ball joint with infinite pivot range facilitates hose connection. There is a second mechanically adjustable inlet for connection of a surface skimmer or satellite filter to draw water from another area of the pond. 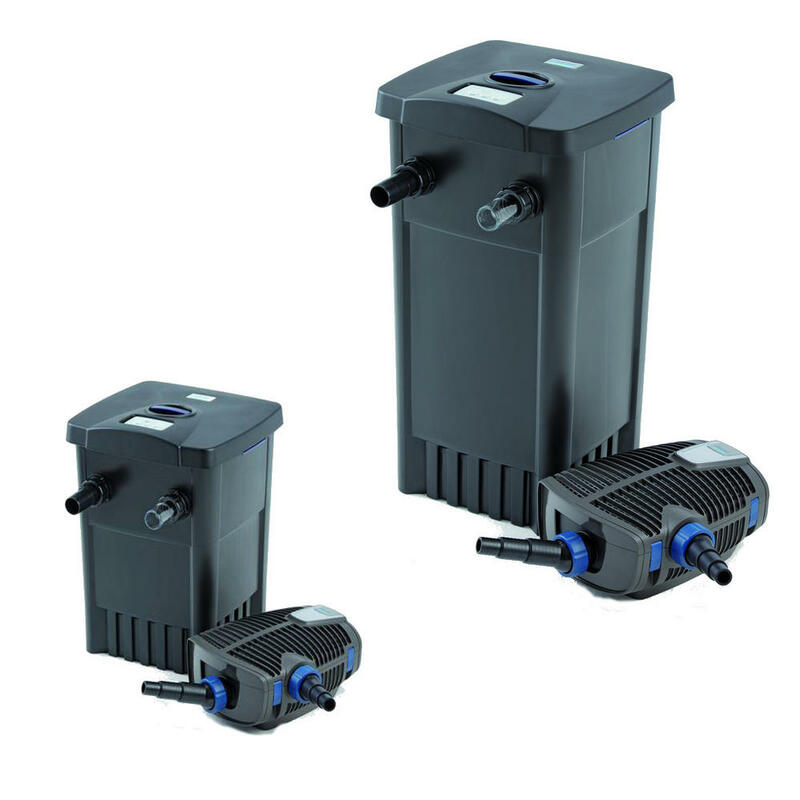 The Oase AquaMax ECO Filter pump range is fully capable of withstanding winter conditions thanks to intelligent frost protection technology. Environmental Function Control (by OASE) protects against dry-run and blocking. It is also mechanically adjustable and suitable for use in swimponds and bathing ponds. 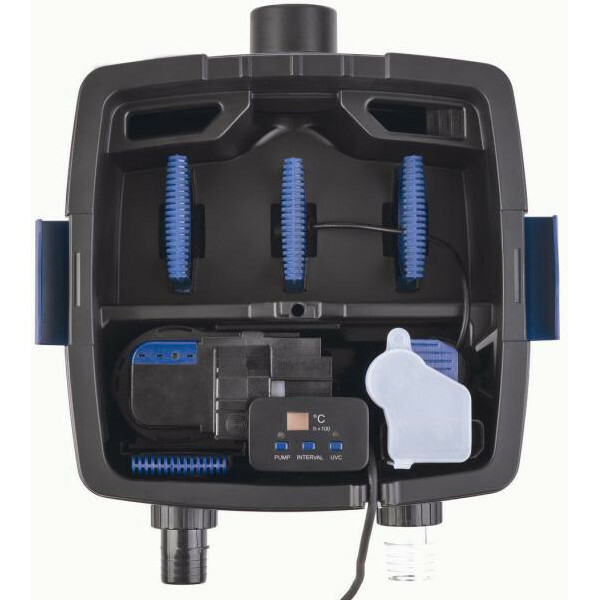 All AquaMax Eco pumps have a 2" connection thread on the outlet side and 1½" connection thread on the inlet side with multi hose adaptor for hoses ranging from 1" to 1½" inches and a cable length of 10m. 2 year guarantee with the option of adding on an extra 1 year.